I started quilting way back in the early 1990s. I was just out of college and looking for something to sew on my Grandmother’s 1958 White Rotary. 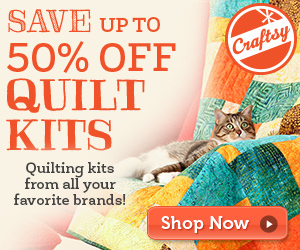 A friend hooked me up with Quiltnet, an international online internet quilt guild. The guild communicated through an email listserv. I quickly became addicted to the block swaps and round robins. It was a great way to learn different techniques. For various reasons I stopped quilting for about 9 years. 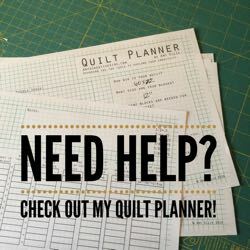 In the summer of 2010 I restarted my quilting life and went back to the internet excited to see all the blogs, photos, and videos available. I quilt because it is my favorite way to express my creativity. I love how you can create something that tells a story through the pattern, fabric, or even the quilting. It is also my stress reliever. Im an elementary teacher librarian and it is necessary to my sanity to just sew for a short time each night. One more reason I quilt is I love to create something cozy to give as a gift to my loved ones. I love to share what I create with other people who ‘get it’. Not all quilters are blessed to have mothers or grandmothers or aunts who taught them to quilt. My family doenst get it. I have some understanding friends now in my quilt guild, but the Bloggers Quilt Festival allows me to share my quilts with pride to other quilters who ‘get it’. I was participating in the flickr Doll Quilt Swap 13. My partner seemed to have similar tastes in fabrics and design to me, so I created a quilt I would love. I’m Denyse Schmidt fabric obsessed and tend to hoard, I mean stash it too much. I love playing with my dresden ruler so decided to make a rainbow dresden. The center had me stumped. Luckily I have a large stash of scraps I’ve collected from other people. (Other people’s scraps are the best!) I found a couple of the quilter tattoo squares tucked away. Due to the shape of the scrap I could not cut a circle so went for a center square. Dare to be different and use what you have are part of my quilting philosophy. Using pearl cottons is my favorite way to quilt and I have been doing it since my early quilting days. I love the colorful big stitches. I really want to make myself one now! I love to swap! I have participated in many flickr swaps from doll quilts, to mug rugs, blocks, pincushions, pouches, and pillows. I’m especially addicted to charm squares. My vacation quilt this summer was made from Amy Butler charm squares collected in a swap. I still have a trunk full of block sets and quilt tops from my early days of quilting that I am finally getting around to finishing. If I never get them finished then my UFOs will become a future quilters vintage treasure. Though you might see a finished UFO in an upcoming Bloggers quilt festival! That dresden doll quilt is fantastic!